That concealer you’ve been using for the best part of ten years? It may no longer be the best for you. Our skin is constantly changing and we need products that work with it, not against it, so opting for a concealer that works with your skin type is the first battle to win. If your skin is dry or prone to fine lines, then opt for a hydrating or creamy base; if it’s oily or your makeup tends to slip throughout the day, then going oil-free is the best way forward. 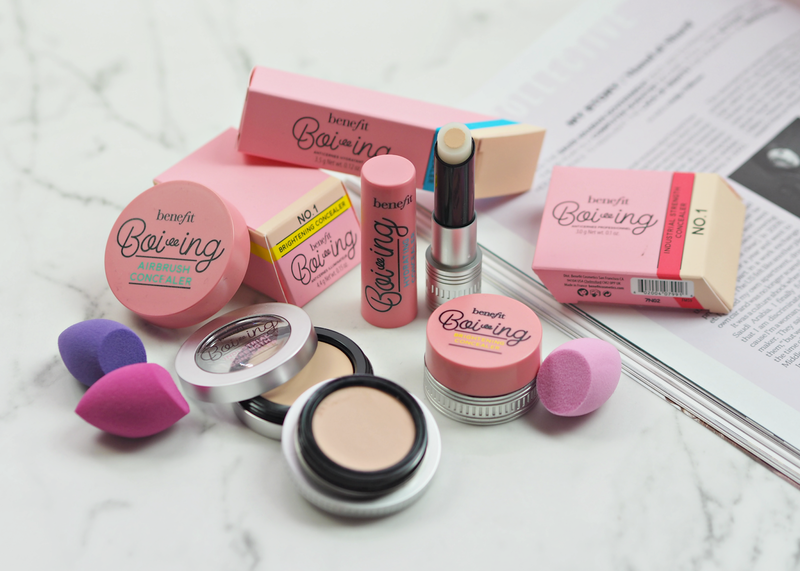 Benefit’s new range of Boi-ing includes textures that meet every skin need, so don’t feel like you just have to find your shade match and that’s it: investigate, try and test. APPLY IN A V-SHAPE; DON’T COLOUR IN! The biggest mistake I made as a teen was colouring in my under-eye area and focusing on creating a result that was three shades lighter; the contrast between this and the rest of your face is actually quite ageing and more obvious, leading the overall look to be a touch too much. Applying your concealer in a ‘V’ shape underneath the eye will enable you to blend the product more naturally, drawing the attention down towards the centre of the face and reflecting the light effectively. You need a fraction of the product too, so you save money in the long run! For me, the perfect base is all about enhancing my natural complexion rather than covering it up and creating a whole new one. I’ve learned to use only a small amount of product at a time, layering it up to get the result I want rather than trying to blend the biggest blob of concealer into my skin. The professionals always use the smallest amount of product, but apply it in a natural and effective way – so that should tell you something. It may have taken me nearly fifteen years of applying concealer to swap my finger for a blending sponge, but blooming heck it makes such a difference! I wish I’d learned this so many years before, as it really does help to create a flawless finish – particularly if you have fine lines around the eye area, or pimples that you want to conceal. Patting in product from the back of your hand to the skin helps it to layer beautifully and provide a much more precise look, plus it’s way more hygenic. Translucent powder may be one of the most scary things in beauty (because often it’s associated with heavy looks or old-fashioned finishes,) but it really is a fab tool for keeping your product in place all day long. I use it to lightly dust over my concealer and foundation, locking it in place and preventing transference; if you apply too much it can cause those fine lines and pimples to look worse, so the trick is to only use a little and only apply where you need it. A big fluffy brush and a finely milled powder is all you need. 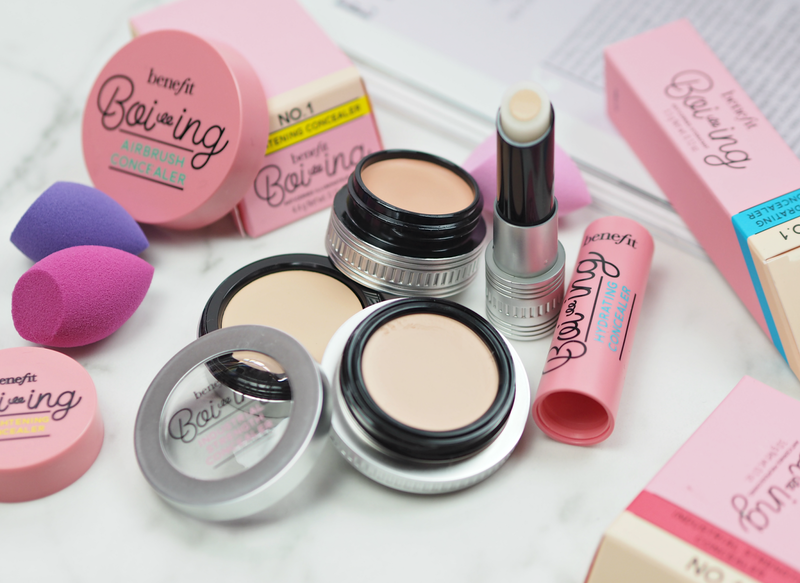 With the re-launch of Benefit’s iconic Boi-ing concealer, and a couple of new additions, I thought this was the perfect opportunity to get to know them a little better – now you’re armed with all the skills you need to get the most from the formulas. This super lightweight concealer is perfect if you just need a little touch-up and don’t want to overload the skin. It’s not as pigmented as the Industrial-Strength version, but it’s great for layering onto skin if you don’t want to faff around with twenty layers of slap. It’s great for younger skin, or those of you that are blessed with a beautiful complexion, but it may not be enough if you like your concealers high performance. When this first launched I didn’t get on with it very well, the surrounding balm mixing badly with my base and causing too much moisture – but a few years later, my skin has changed and this is perfect for my needs. It’s great for the under-eye area and the added moisture balm helps to hydrate this often dehydrated area of the face, adding radiance and luminosity while delicately concealing under-eye darkness. This is the kind of product you could totally use on its own, with a BB Cream or when you want an understated summer glow. A new fave. 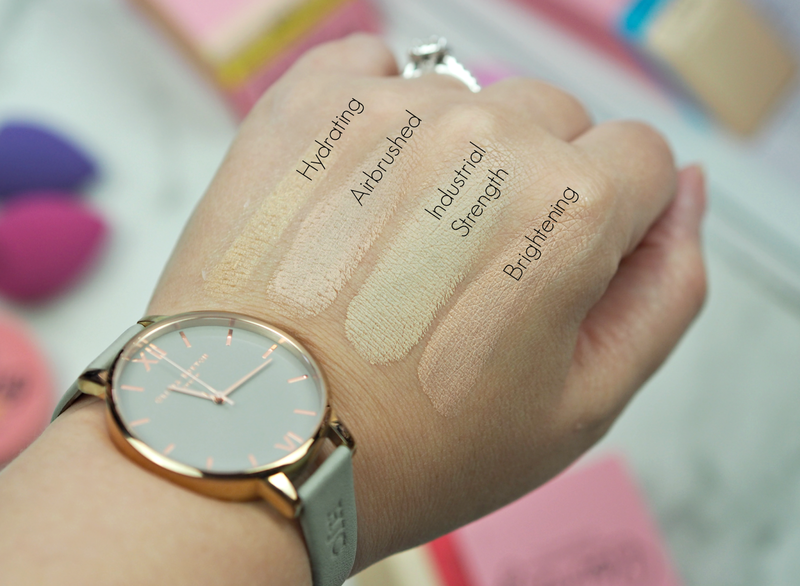 Rather strangely the colour of the concealer is so much lighter when you get beneath the top layer, so make sure you swatch rather than just looking. However, this really does help to brighten without overloading the skin with too much product; it’s almost like a solid version of Touche Eclat! This may be my personal favourite of the line-up, as it offers everything I want (pigment, brightening qualities, a creamy and non-drying texture) without caking too. A universal texture and finish that I’m sure you’ll love. Which of the four would you choose to pop in your makeup bag? 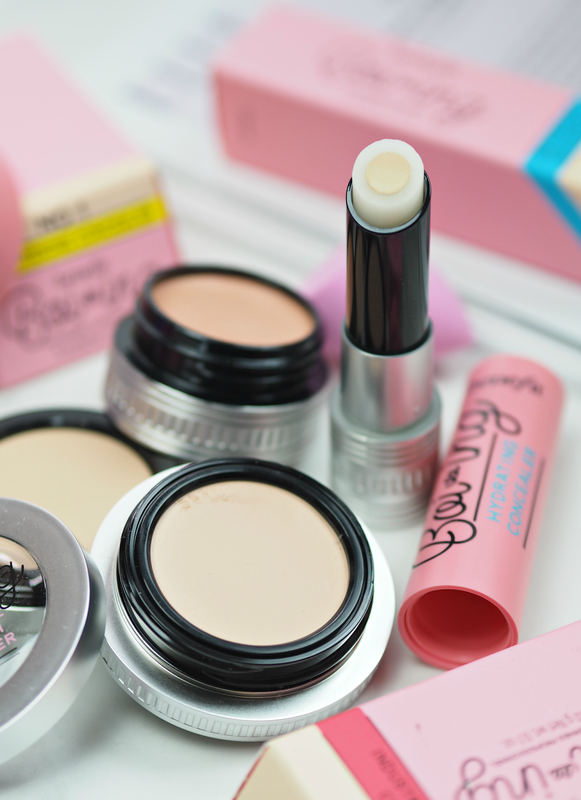 Do you struggle with finding your perfect concealer, or get confused how best you should be using it? I'm wearing it today – it's really light and fresh!